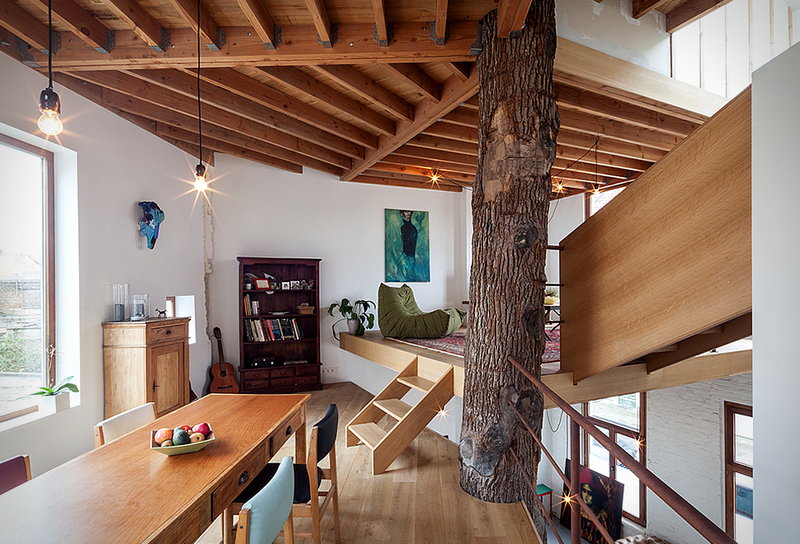 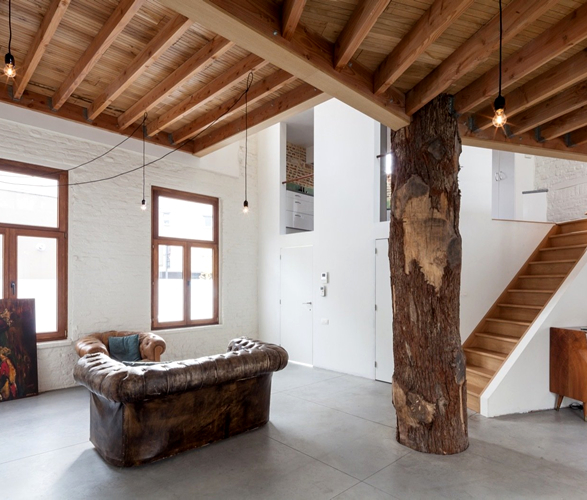 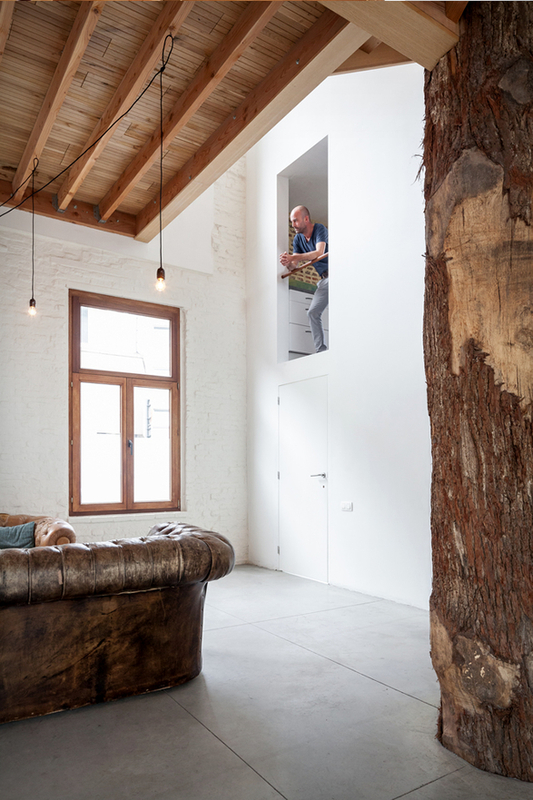 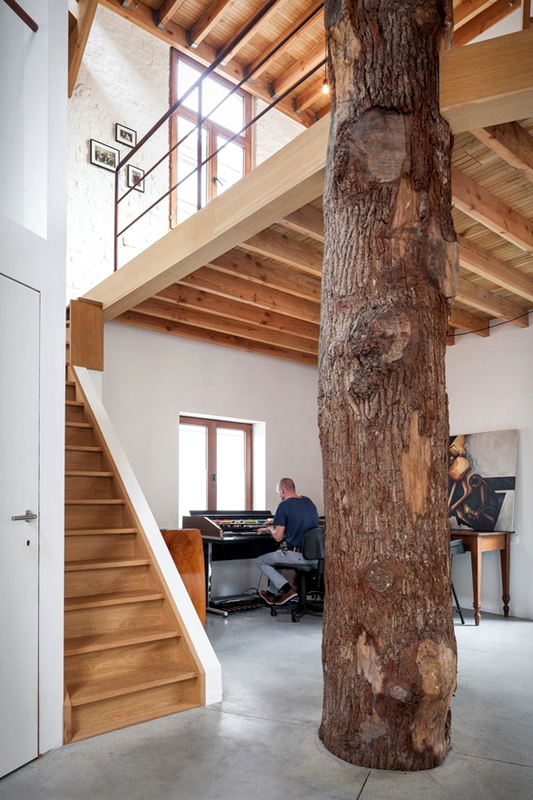 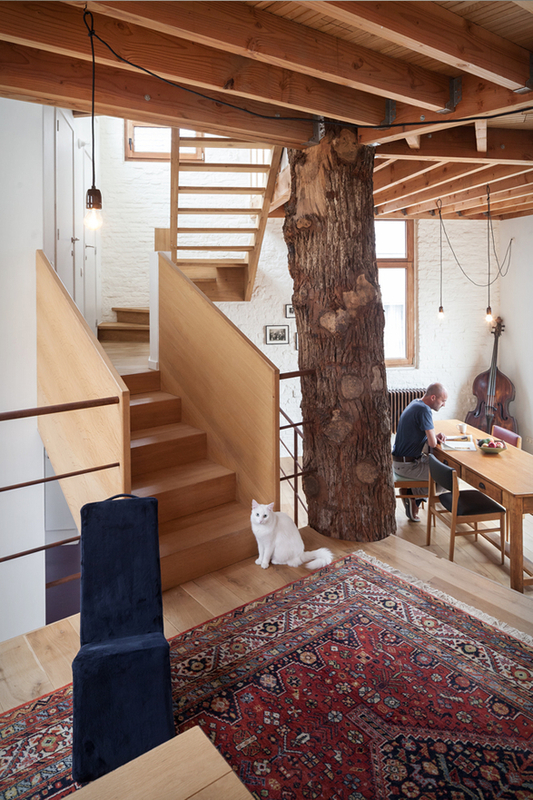 Designed by Atelier Vens Vanbelle, this unique house in Ghent, Belgium, uses a 12 meter high oak tree trunk as a central structural column for its pentagonal plan. 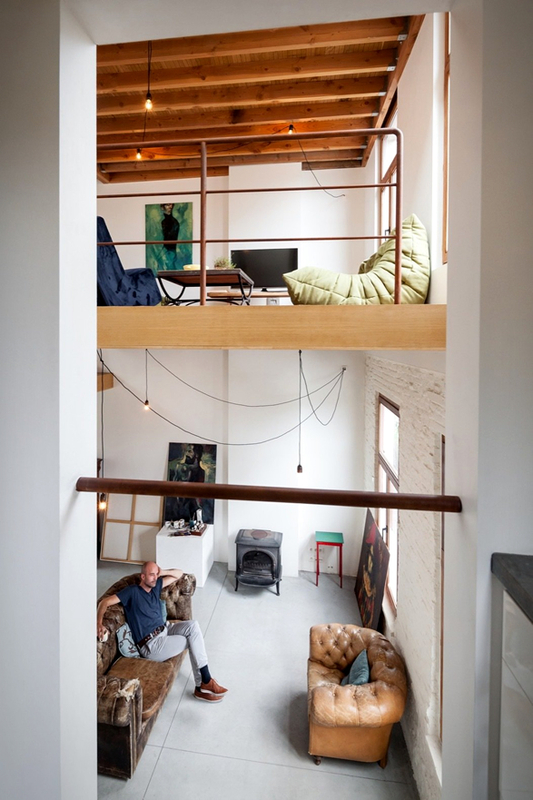 The owners, a musician and a painter, acquired this old building consisting of two floors and an attic, plus a courtyard separated from the street by a wall. 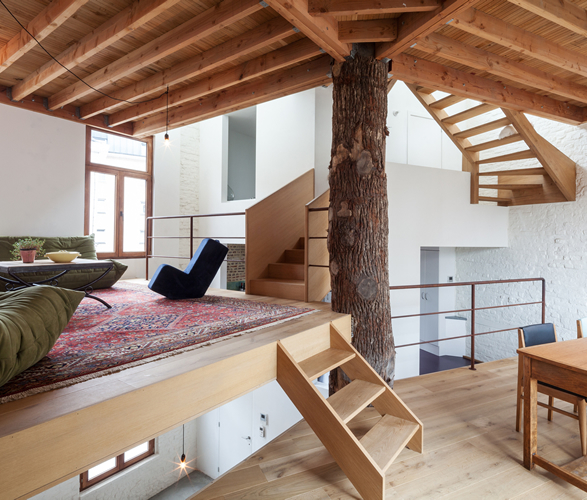 The inner structure of the house was in a poor condition and the rooms were too small, so it was decided to keep only the facade and build a complete new structure in the house. 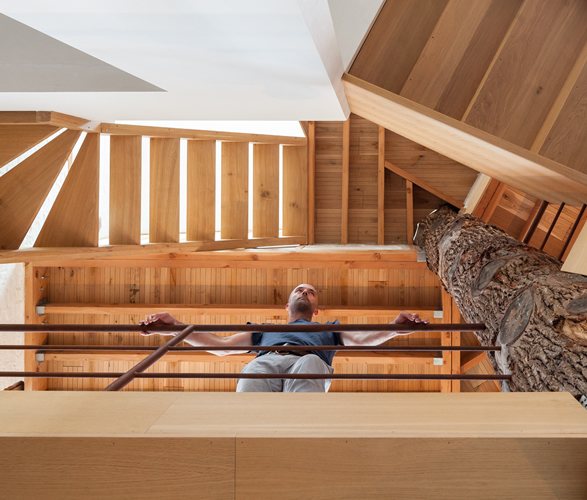 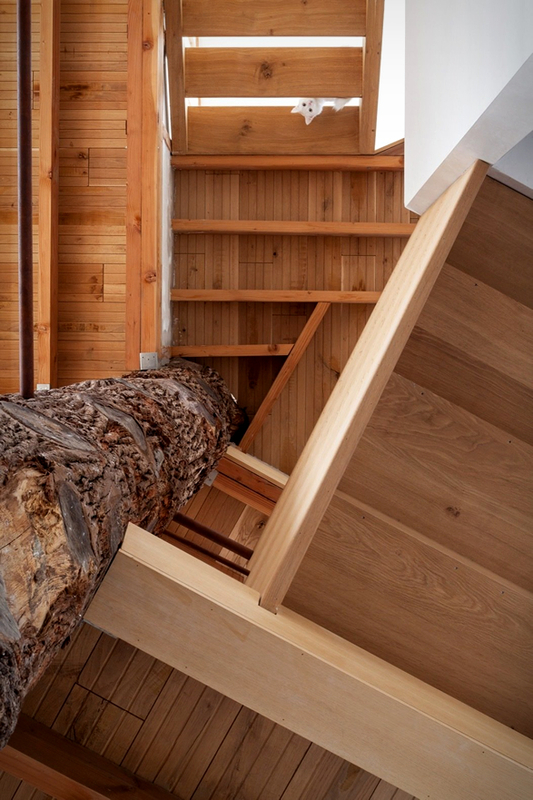 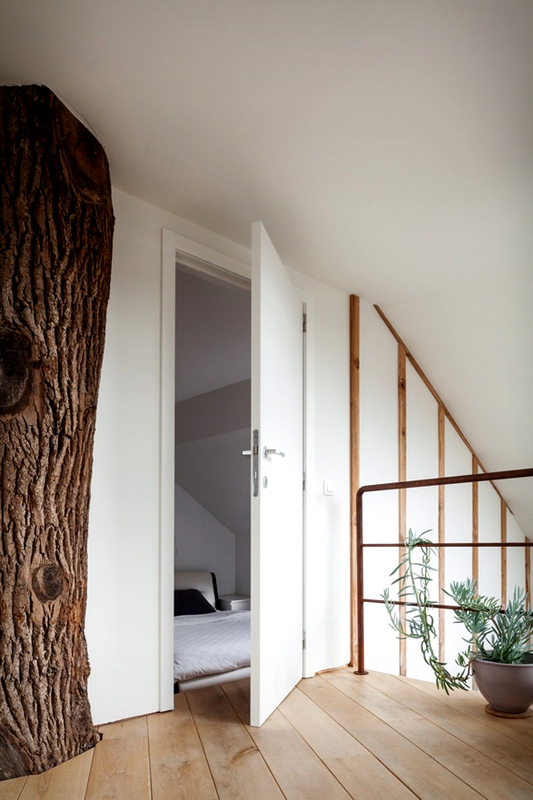 Using a oak tree trunk as the backbone of the home, the architects built a series of mezzanine floors that revolve around the trunk to form a pentagonal plane. 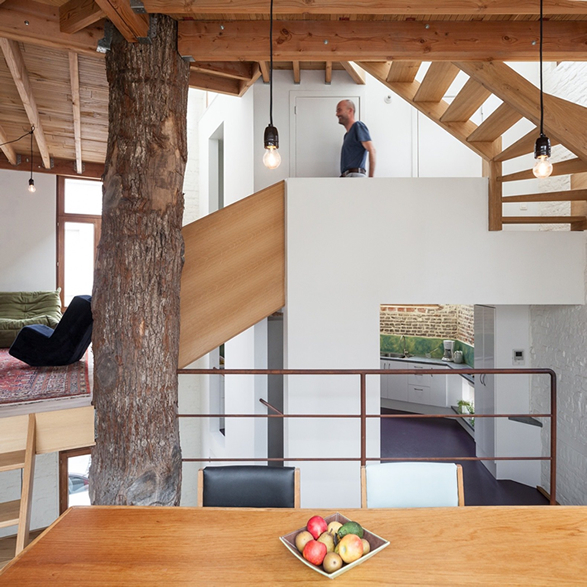 The open rooms connect to form a spiral staircase that rises through the house, room by room. 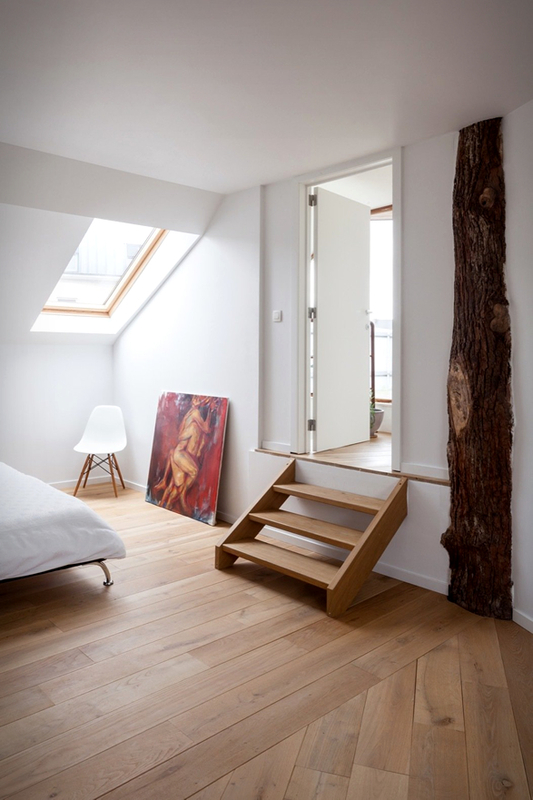 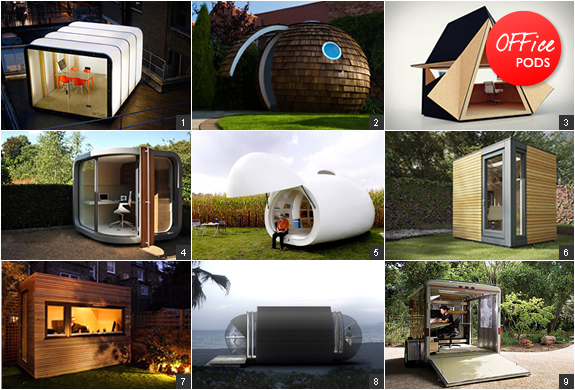 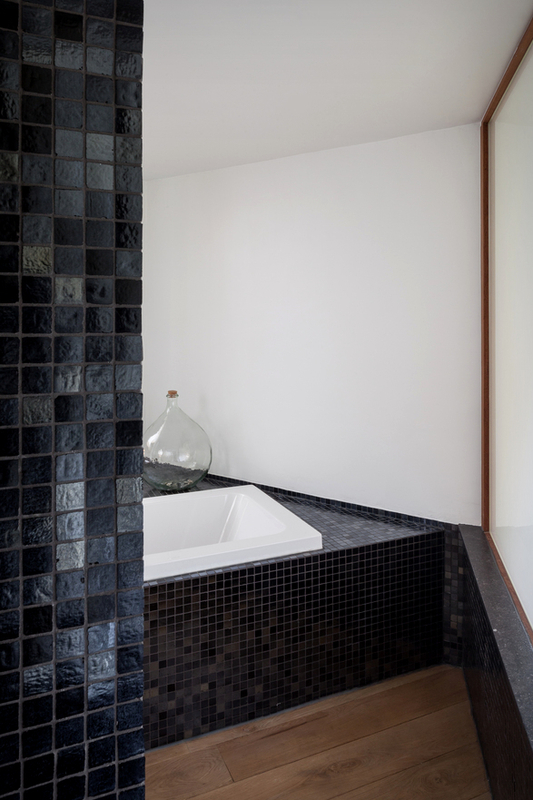 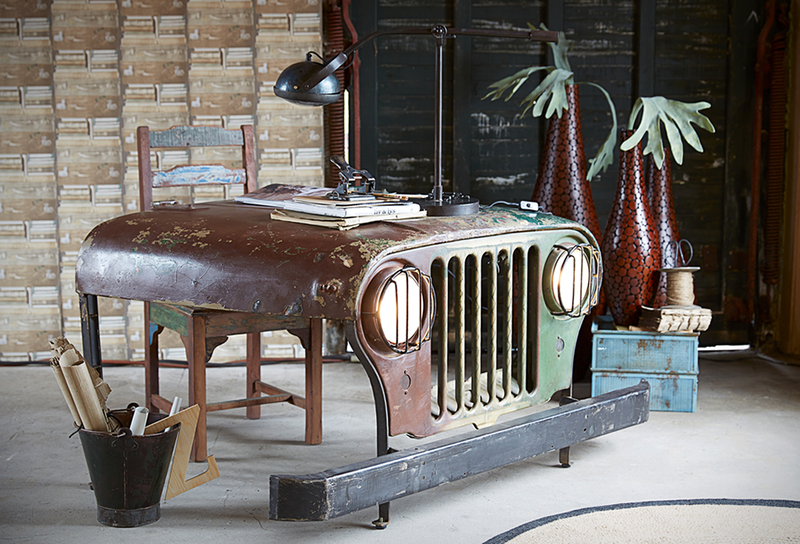 The architects designed the layout so that the higher the room, the more intimate the function. 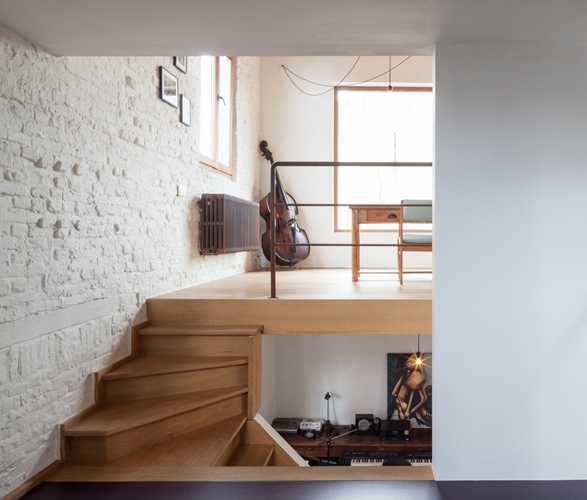 The ground floor is used as a studio for art and music, the living areas are tucked into the upper levels, and the bedroom and bathroom are located at the top in the attic.